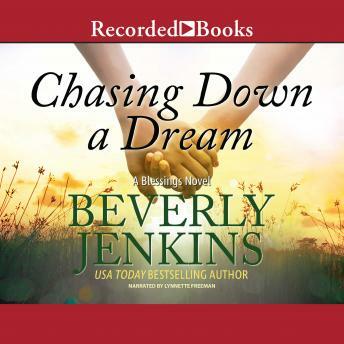 NAACP nominee and USA Today bestselling author Beverly Jenkins continues her beloved Blessings series with a heartwarming novel about what really makes a family There's never a dull day in Henry Adams, Kansas. Tamar July has never had a great relationship with certain members of her family. In fact, she'd characterize it as a "hate/hate relationship." But when her cousin calls her with the news that she's dying and wants Tamar to plan the funeral, she's shocked but is willing to drop everything for her. After a horrendous storm, Gemma finds a young boy and his little sister walking on the side of the road. She takes them in, and quickly falls in love with the orphaned siblings. But when Gemma contacts Social Services to try to become their foster mother, she's told a white woman cannot foster African-American children. In the midst of these trials, Jack and Rocky are trying to plan their wedding. The entire town comes together to lend a helping hand. Though the residents of Henry Adams face seemingly insurmountable obstacles, each of them will discover that family comes in many forms, especially during the most trying of times.